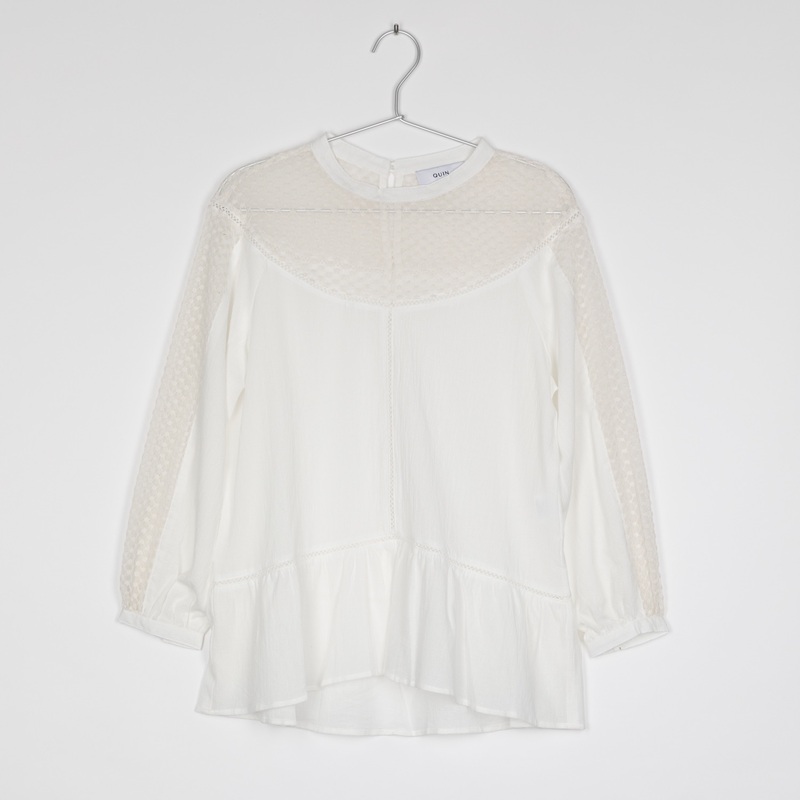 Pretty long sleeve blouse inserting with delicate cotton mesh panels and pretty fagotting laces, light pleated peplum hem. Easy to match with any trousers or skirt, dress up or down for an effortlessly chic look. Loose fitting, buttoning wrists, buttoning down back. Model is 174cm and is wearing size XS.